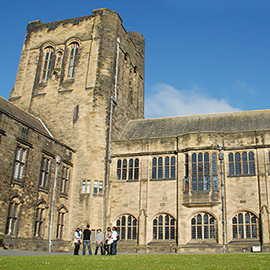 At University you can study a wide range of different types of law degrees. If you intend to practise Law after graduating, you should ensure that your course is a Qualifying Law Degree and that it covers the foundation subjects of law. Perhaps the most frequently studied type of law degree is the LLB Law degree. A good LLB law degree will include the study of the seven foundation subjects of a Qualifying Law Degree but it will also allow you the opportunity to pursue individual interest through the provision of a range of optional modules. These optional modules plus your dissertation and other extended pieces of work should allow a degree of specialisation in an area of law. 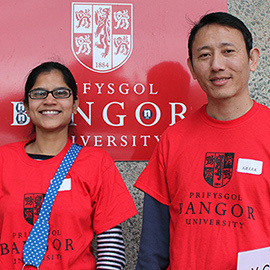 In addition to the specialist LLB Law degree, Bangor Law School also offers a range of 'Law with' degrees. These are also Qualifying Law Degrees but offer a broader field of study as they may combine law with Business, languages, Criminology or another subject.